With such a strong passion and interest for planners and journals, I thought why not start a special segment for this! 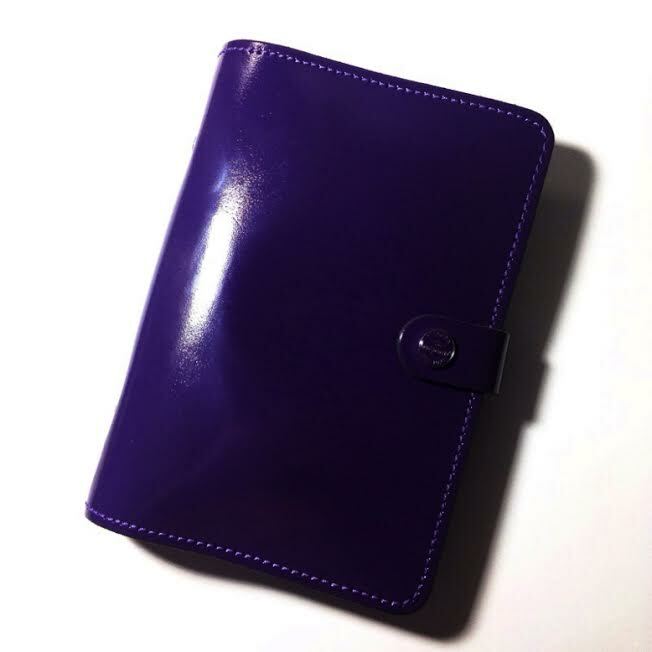 So over the past few weeks I slowly gathered some of my awesome journaling friends and asked if they would be interested in sharing some snippets of their own personal notebooks. Luckily for me, they were all happy and open to the idea! With many many thanks to them and their wonderful contributions, I'm able to introduce to you all my newest blog series- The Journal Diaries. 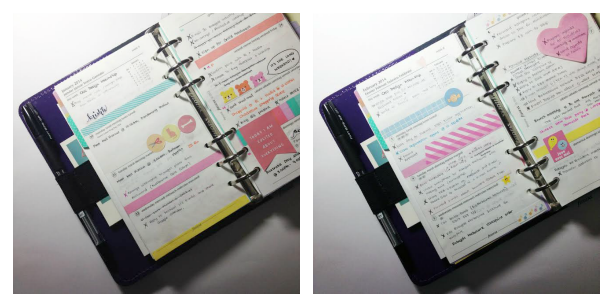 Every week or so journal users and lovers from all over the world will be featured here to give us a peek into their paper lives and show us how they use their notebooks on a daily basis. So with that being said, I'd like to welcome my very first guest here to kick-start the series. Let us all gather around for Retno's post where she'll show us how she sets up her Filofax. Hello, everyone! 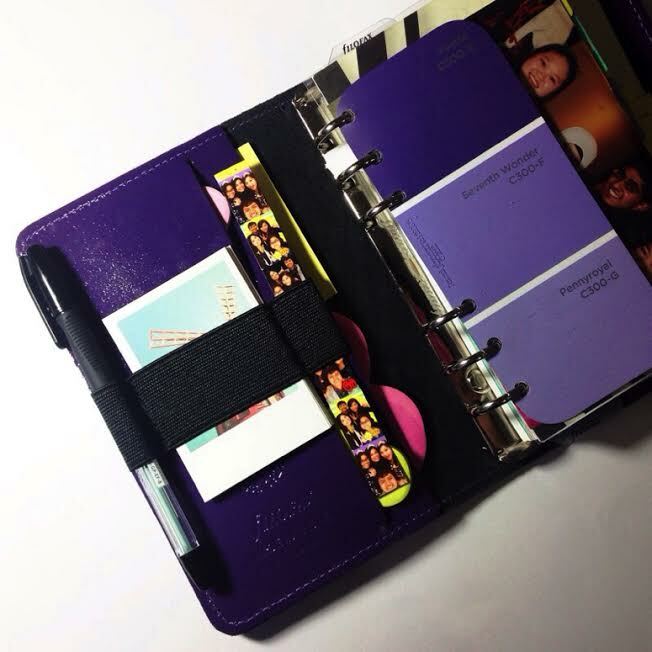 My name is Retno Widyanti (a.k.a @retnobear on Instagram) and I'm so excited to be sharing a little slice of my world with you today through a tour of my Filofax! I've been an admirer of Michelle's wonderful Instagram photos and blog posts for a while now and so I'm honoured to be meeting her lovely blog readers. A bit about myself: I'm 19, an engineering student, and I've been a planner addict since I was about 12, when I received my first school planner. I've been using some kind of organisational system since. It was only a matter of time before I started expanding my planner collection, and – finally – joining the Filofax revolution! 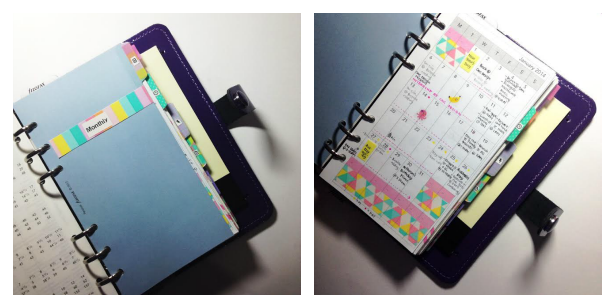 I’m a very visual person, and planning with a Filofax that is pleasing to the eyes keeps me motivated to use it. That’s why, on top writing down important tasks, dates, and plans in my Filofax, it’s kept full of pretty and attractive bits and bobs I find along the way. My Filofax opens to some pockets I’ve stuffed my favourite heart-shaped Post-it notes from Typo in, as well as some plain yellow Post-it notes. 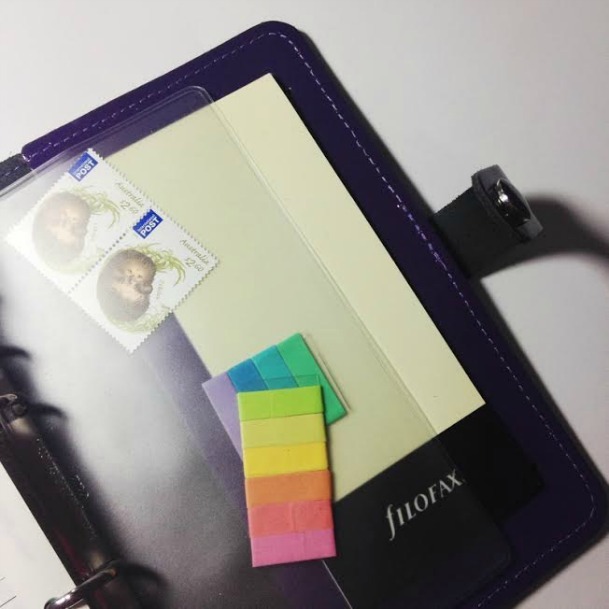 Since I take my Filofax almost everywhere with me, I’ll use Post-it notes to quickly jot down tasks or things to do while I’m studying or working. Behind a transparent flyleaf, I’ve kept a pretty colour swatch (turned Filofax divider) and a photo of my friends and me from my 18th. My pen loops hold my favourite black ballpoint pen (the Pilot BPS-GP in Extra-Fine), some of the iconic Typo mini polaroid notecards, and a strip of sticker photos my friends and I took spontaneously last year. 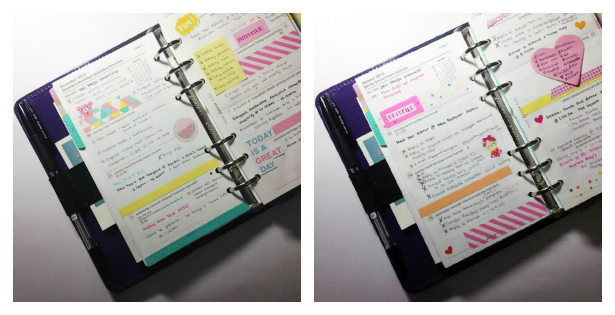 I use the default Filofax dividers my planner came with to split my pages into sections. 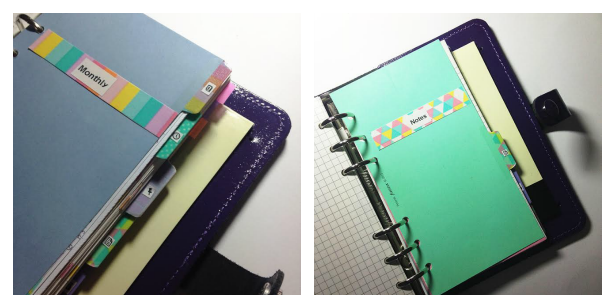 Of course, I’ve hacked them slightly to look more attractive to the eye, using colourful washi tape, and with section labels (instead of numbers), so I remember what’s in my planner. My sections are, in order: Monthly, Weekly, Plans, Notes, Finance, and Contacts. As well as attending university, I’m very active in the extracurricular sphere, being the president of a non-profit organisation and the vice creative coordinator of a film festival. I work part-time during semester, too. For me, my monthly pages are something of a lifesaver, as I can plan things well in advance and see all the things I have to do each month on a page. These pages were hand-printed and hand-cut, based off a month-on-page template I found on Philofaxy. The pride and joy of my life, however, are my weekly pages. Here I write my plans and daily tasks in the form of dot points and checkboxes. I also write things I want to remember for the week under my ‘This Week’ section – which is one thing I absolutely love about the (white) cotton cream layout Filofax inserts that came with the Original! The other thing I love about these inserts are the equal sizes of the days; I used to use planners that had the weekends half the size of weekdays (which is fine if you don’t have much planned on the weekends – but for me, that’s when most things happen!). My weekly pages are definitely an outlet for the creative in me - I use cutouts, snippets, stickers, post-its, washi tape, and colourful pens to make my week look as happy as possible! My notes section is divided into three subsections – my academic notes (where, right now, I’ve stored this year’s course plan and timetable), my goals, and my important information section. Last, but not least, my Filofax also came with a clear pocket, which I use to store some washi samples and my postage stamps so I don’t lose them, and a notepad, which I write some random lists in (but they’re not too photogenic). That brings me to the back cover of my Filofax and the end of my tour! Hope my post has given you a little bit of insight as to how I organise my Filofax and maybe even inspired some of you! Thank you for reading, dear readers, and hope you have a great 2014 and enjoy the rest of your February! 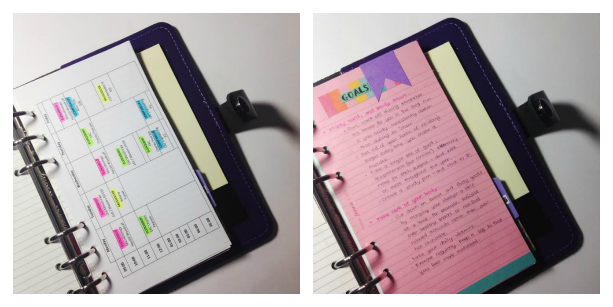 Thank you, Retno, for such a great introductory post and for showing us your beautiful planner! And I'd like to thank you all for stopping by and reading! Make sure to come by and visit every week so you don't miss out on posts like these. I have some wonderful guests lined up that I can't wait to share! And as always, you can follow me on instagram, @seaweedkisses, where I like to hangout during the week. Make sure to stop by Retno's instagram, @retnobear, as well and say hi! I love the idea!! So great! :D Looking forward to the upcoming posts! Me too! Planners are my weakness. It'salways so interesting to see the styles and setups of other people's, isn't it?